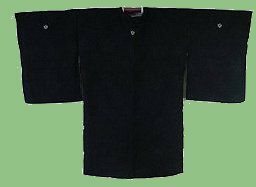 The haori is a lightweight silk jacket used to help keep the kimono clean and dry. 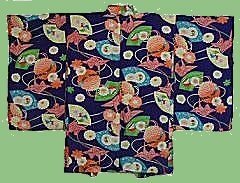 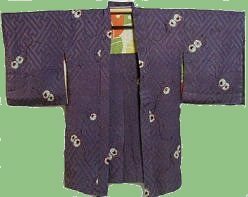 They vary in length and are considered an essential part of ceremonial kimono attire for men but not for women. 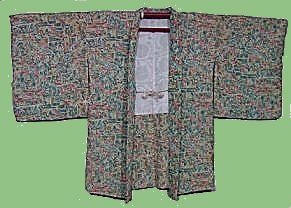 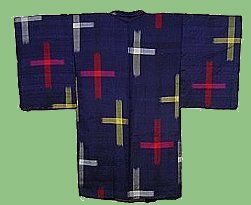 It probably came from the dochu-gi which was a cape worn for travelling. 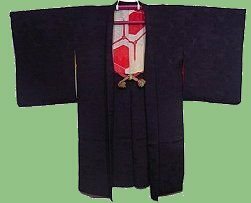 One special kind is the kuro montsuki which is worn for school events like entrance and graduating ceremonies and for mourning. 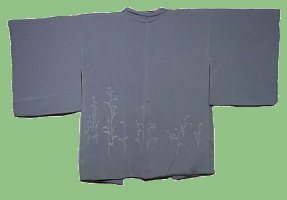 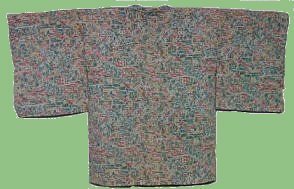 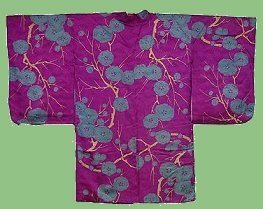 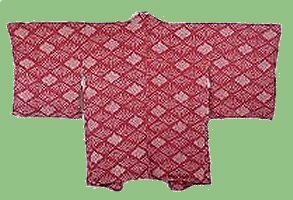 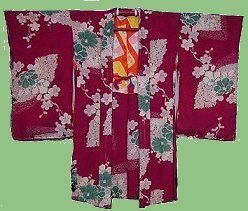 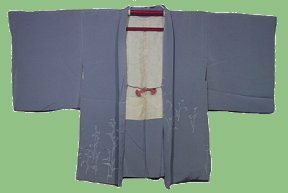 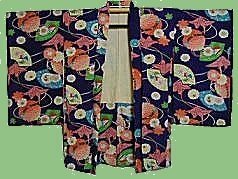 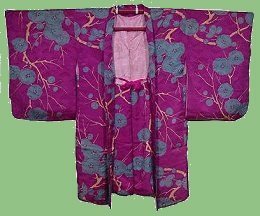 In general, the wearing of haori by men was well established, but the wearing of them by women did not become popular until the Edo period. 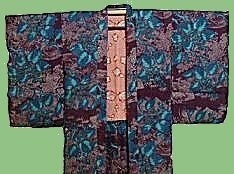 They are meant to be worn open. 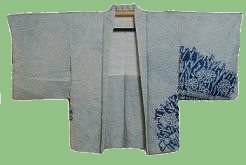 It's usually taken off and folded up before one enters the place they are visiting. 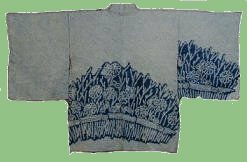 Formal haori have the family mon on the back. 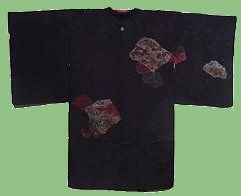 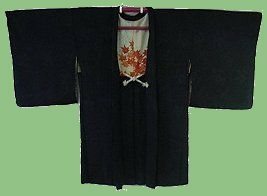 It is has a single crest at the back mid seam it's called kuro montsuki haori and is usually worn for school events or for mourning. 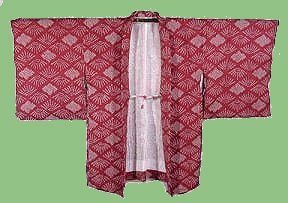 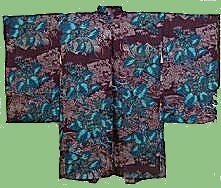 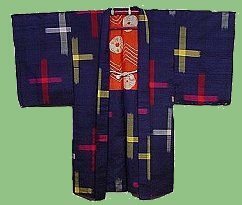 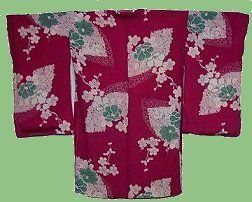 The haori can also be of different lengths, the long ones being for dressy wear, the medium-length ones for ordinary wear, and the shortest ones for wearing at home. 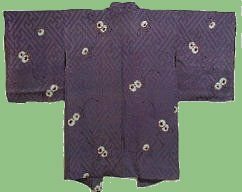 The first two haori are from the 1930s, the one on the right from the 1940s.